People are strange. They just won't drink enough water. They somehow think that other liquids, especially those with some level of alcohol in them, are better than the sacred elixir that they are. They are? Yes! We are mostly water! And we use water! So Dammit, why won't we drink enough water? I'm constantly amused at the health revival stories on YouTube of people who drink ionized water. All sorts of miraculous cures are attributed to the drinking of what they claim is alkaline ionized water... but frankly, when I look at them, the vast majority of them were very unhealthy people to begin with - before they began to drink this 'special' water. And 8 glasses of ANY kind of water is going to radically improve their wellbeing. And of course, they all make money by saying their cure was due to their brand of water. It IS MLM after all! Not that I'm against ionized water.. I'm just against having to pay $5000 to get it! ..just drinking sufficient water - not Pepsi, not Coke, not Gatorade, not orange juice... WATER was the real reason for their health revival? After all in his book, Your Body's Many Cries For Water Dr Feyrood Batmanghelidj demonstrated conclusively that in the absence of other medicine, water alone affected amazing healings on the battleground of the Iraq-Iran war. Dr. B. believes chronic dehydration to be the cause of many conditions including asthma, allergies, arthritis, angina, migraine headaches, hypertension, raised cholesterol, chronic fatigue syndrome, multiple sclerosis, depression, and diabetes in the elderly. Whatever you are doing, wherever you are, hydration is critical for your health, including the health of your bones. 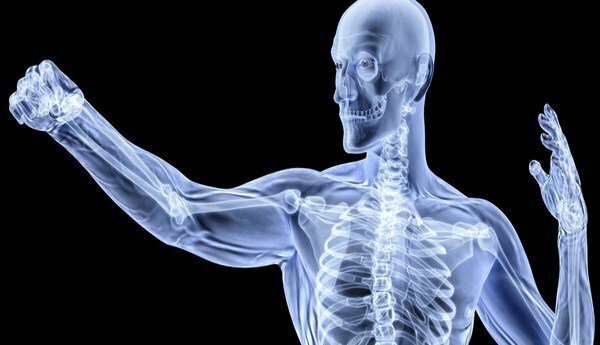 What's more, sstudies have now confirmed that water plays a crucial role in building strong bones. Five easy ways to know if you’re drinking enough. Adequate water intake = health. Dehydration negatively impacts the body’s thermoregulation, its capacity for physical activity, cognitive and kidney function, the digestive and cardiovascular systems, and your skin.1 It also negatively affects your bones (more on that later). Water is two hydrogen atoms attached to a single oxygen atom. It's indispensable since we can only survive a few days without it. Modern diets often include sources of water that contribute to our hydration. Some foods, such as strawberries, watermelon and cabbage and many others are more than 90% water. Many beverages are water-based. However... the best way to stay hydrated is by drinking just water. Hydration should be a part of your daily routine no matter your age or condition. It's not natural (but it seems natural!) that as we age we drink less, so we do need to become more proactive about it. If we compare the relationship between thirst and fluid ingestion between younger and older people found that after water deprivation, we can see that older persons experience less thirst and hence drink less fluid than younger people. Older people are therefore more likely to fail to replenish their body’s supply of water, leaving them dehydrated. Dr Abram Hoffer worked in a canadian mental Institution. One day he was asked to administer electrotherapy to an old schizophrenic patient. The man was OLD. He applied the pads.. nothing happened. He did it again.. nothing. The man was so dehydrated that electricity could not pass into his body. And he was.. just.. alive! So although we can survive with incredibly small amounts of water in the body, we can't also expect to be healthy. We should keep sipping water throughout the day, even when we don’t feel thirsty. We should know how to tell when we’re dehydrated, so that we can take immediate action. We need to know the signals - Headaches, fatigue, muscle spasms, and dark urine are the obvious ones.. but there are more it;s good to be aware of. Pinch a little bit of your skin on the back of your hand between two fingers. Pull it up gently, then let go. It should immediately return its former position, smooth against your hand. This is a simple measurement of skin turgor or elasticity. If you’re dehydrated, the skin will remain in the pinched position, or return more slowly than usual. This simple test can tell whether you need to up your water intake. 2. Confusion: I'm not stupid, I'm dehydrated! Dehydration affects the brain. Even mild levels of dehydration can disrupt mood, concentration, and cognitive function. Dehydration impairs performance on tasks, affecting short-term memory, perceptual discrimination, arithmetic ability, visuomotor tracking, and psychomotor skills. If you are feeling lost, confused, or losing the ability to concentrate, t it may bea sign of dehydration. Slow down. Bad breath, or halitosis, can indicate that you’re not getting enough H2O. In a national study of almost 10,000 participants, researchers found a direct relationship between inadequate hydration and elevated body mass index (BMI) or obesity. The study (once again) confirms that dehydration causes overeating. Sometimes when our body is trying to tell us to drink water, we interpret the signal as hunger and eat instead. If you are regularly craving food, perhaps your dehydration is playing games with you. Adequate hydration can clear up the cravings, keeping you healthy and your weight down. Water understands its vital nature. Unfortunately is can't talk. Fortunately, your body will do just about anything to keep water when supplies are running low. One strategy is turning off your sweat glands. This can indicate severe dehydration. It may even be a marker of heat exhaustion or heat stroke. Seek help immediately and start hydrating as soon as possible, especially if you feel faint, confused or hallucinatory. What about Water and Bones? What is your mind's eye picture of a bone? It's something hard, and dry. Brittle. I'm sure most people don't think of bone as 'wet'. But believe it or not, Mr Ripley, water is one of the main 'íngredients' of bone, plus apatite mineral and collagen protein. Without sufficient water, the mechanical properties of bone are negatively affected as well as bone quality. We now see more studies demonstrating that dehydration actually causes an increase in bone damaging stress hormones - such as cortisol. So not only do you need adequate hydration to build bone... dehydration is also actively harming your bone mineral density. We talk to people every day at AlkaWay about water. Usually it's about the right sort of water to drink, and yes, we know that you can supercharge your water with alkaline minerals and molecular hydrogen for many, many health benefits. But we often don't have the chance to talk to people (convince them!) of the absolute necessity of drinking enough water. Think of your prize possession; your car. You lavish money, love and more money on it because not only does it give you emotional support, it also opens the world to you. And you know that if you don't. all that money you spent on it will be lost on ultra-expensive repairs. So.. would you buy cheap oil for your car? Would you run it with constantly low oil in the sump? Why then do you do this with your body's many cries for water''? PS: And if that's not enough, think about trying to overcome chronic inflammation without sufficient hydration. While the effects of dehydration are often ignored or overlooked by med professionals, the link between hydration and inflammation seems obvious. Healthy inflammation is the body’s defense against invaders such as bacteria, viruses, and toxins in the environment. This defense is incomplete without the water needed to carry these negative factors out of the body. Isolating these invaders does no good if they are then left to sit within the body and allowed to er.. rot. Which in turn, causes a repetition of the inflammation designed to remove these negative influences and increases the possibility of this inflammation becoming chronic. PPS: And if that's not enough, latest science links ALZHEIMERS' with chronic inflammation!